As Oregon voters consider Measure 91, an initiative on the November ballot that would regulate, legalize and tax marijuana for adults 21 and older, many are looking to how similar laws are affecting Colorado and Washington. Measure 91 supporters Tuesday brought together a panel of experts from those two pioneering states to make the case that marijuana legalization is a winner, with more positives than negatives for states that have taken the step. Admittedly, we have not had a lot of time to judge -- Colorado began allowing legal, regulated sales only this January and the first marijuana stores in Washington didn't open until July -- but early results have been promising. In Colorado, the state has already taken in more than $27 million in taxes and fees, with more than $5 million already allocated to building schools. At the same time, violent crime in Denver has declined by 5.2%, even as the state is set to save somewhere between $12 million and $40 million in annual criminal justice system costs, according to the Colorado Center on Law and Policy. Both a Drug Policy Alliance six-month status report and a Brookings Center report on Colorado's situation have also found that legalization there is proceeding relatively smoothly, with few bumps. In Washington state, the reviews are fewer since retail stores just began operating in July (although Brookings has issued a report), but customers bought $3.2 million worth of legal weed that first month, with sales doubling to more than $6.9 million in August. More than another $6 million worth had been sold in the first three weeks of September. Tax revenues from legal marijuana sales are estimated to reach $636 million over the next five years. But while Washington retail sales have just gotten underway, the legalization of personal possession has been the law since the beginning of 2013, and the results on that front are remarkable. According to official state court data, the number of misdemeanor marijuana charges against adults dropped dramatically, from more than 5,500 in 2012 to only 120 last year. The experiences of Colorado and Washington show that -- if done correctly -- marijuana legalization can be a big winner for other states as well, experts and officials from the two pioneer states said Tuesday. "People call this an experiment, but it's time to treat marijuana like the drug it is, not the drug we fear it to be," said Colorado state Rep. Jonathan Singer, who was one of only two state representatives to endorse Amendment 64. "We have to thank the people for leading; the legislature has been following," he said. Issues remain, Singer said, but the state is dealing with them. "Lawmakers have to ensure that we responsibly regulate edibles and concentrates, so consumers are well aware of what they're putting in their bodies. We want consumers educated," he said. The legislature has passed a bill dealing with edibles. "The biggest issue is banking, and a bill I sponsored created first-of-a-kind cannabis credit co-ops," Singer said. "We will soon be petitioning the Federal Reserve for services with members of the industry who have formed their own co-ops. When dispensaries get robbed, it's for the cash, not the marijuana." "When voters decided to support Amendment 64, they did so to bring marijuana above ground in the hope that it wouldn't detrimentally impact public health and safety, and so far, it hasn't," said Art Way, Colorado state director for the Drug Policy Alliance. "The most important impact we've seen is that thousands of people are no longer being arrested for simple possession of marijuana in our state," he said. "All marijuana offenses have declined by about 50%, and law enforcement resources have been freed up to fight violent crime," Way continued. "The state is saving millions of dollars a year in criminal justice system expenses." For retired Denver police officer Tony Ryan, marijuana law enforcement was a distraction from more serious business. "Chasing marijuana smokers was not at the top of my list because I needed my officers to handle calls for service," Ryan said. "We didn't have enough officers to cover calls, in part because of the distraction of doing narcotics enforcement, and when you're enforcing narcotics laws, you're mostly enforcing marijuana laws. 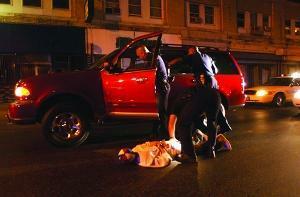 This frees up police officers to do what they're supposed to do -- answer calls for service and work on solving crimes." Lewis Koski is director of Marijuana Enforcement for the state of Colorado, and he said officials are keeping on top of the situation. "We've recently been focused on how to comprehensively and effectively regulate the edibles manufacturing process," he said. "We also do licensing and monitoring of the businesses that cultivate, manufacture, transport, and sell marijuana, and our licensing process is pretty robust." The department also runs stings to check for age compliance, he said. Increased youth access to marijuana is one of the most often heard fears of legalization foes. "We put undercover underage individuals into the retail stores to see if they could buy anything, but what we've seen is a 100% compliance rate," he said. While Washington hasn't had as lengthy an experience with legalized, taxed, and regulated sales as Colorado, experts and officials from the Evergreen State also said legalization was working for them. "We've enjoyed a successful, albeit slow, launch," said Seattle City Attorney Pete Holmes. "We did see the virtual elimination of marijuana possession arrests, which has resulted in a restoration of justice. We're no longer hounding people for the possession of marijuana in the state of Washington." There are issues remaining, but they are soluble, Holmes said. "One impediment is that our medical marijuana laws were in disarray after the former governor vetoed a regulation bill, and as a result, I-502 didn't touch medical at all," he noted. "The biggest unfinished business for us is how the legislature will address medical. Perhaps it will be folded into the I-502 system." Holmes also pointed to the issue of revenue sharing, the problem of some localities opting out, and the lack -- so far -- of a legal supply adequate to put a sizeable dent in the black market. Like his Colorado law enforcement colleague, former Seattle Police Chief Norm Stamper saw legalization as a smart move. "It's no secret that relations between police officers and the communities they are required to serve are strained, especially with young and poor people, and marijuana enforcement is a big factor in this," Stamper argued. "A vast number of poor young people of color have been arrested over the years. With I-502, there is a major shift in law enforcement priorities. Now, police can focus on burglaries and robberies and the like, and by freeing up resources, we can also deal a serious if not fatal blow to major drug dealers. This is making a huge and positive difference." I-502 chief proponent Alison Holcomb was brief and to the point. "I-502 has preserved public safety, reduced the burden on police and prosecutors, and generated significant new tax resources," she said. 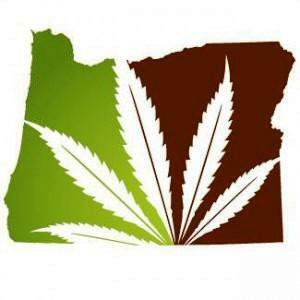 "We've learned a lot from Colorado and Washington, and we purposefully set up a very deliberative process," said Oregon Measure 91 campaign spokesman Anthony Johnson. "The state will have a full year to analyze what's going on there and implement what's best for Oregon. We will regulate marijuana very much like we regulate beer and wine." But first, they have to win. Measure 91 is leading in the polls, but by no means comfortably. Getting the message out about how things have gone in Colorado and Washington should only help. The only thing Colorado and Washington taught Oregon was what not to do. Colorado with it over pricing and taxing has actually stimulated black market marijuana sales. And Washington the way they set up the business end I don't really care for.